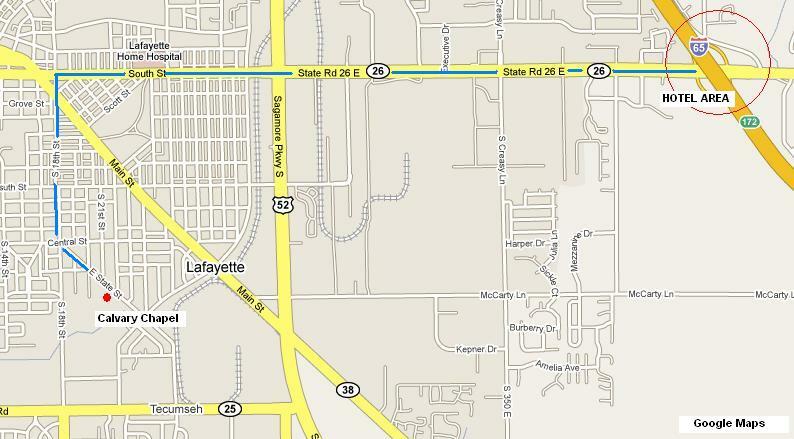 These hotels and others are all located at Exit 172 off of I-65 (State Road 26, which runs east-west through Lafayette). Akropolis . great homemade Greek food, burgers & fries as well. 10. 1500 Kossuth Street Great Harvest Bread Co. - Coffee break items for Speakers courtesy of Great Harvest. Travel west on St Rd. 26. Turn left at 18th Street. Turn left again at State Street. Church is on the right.